This story originally appeared in the April 2015 issue of PS Portions. April 2015 marked the 150th anniversary of the end of the Civil War with the meeting of Grant and Lee at Appomattox on April 9, 1865. 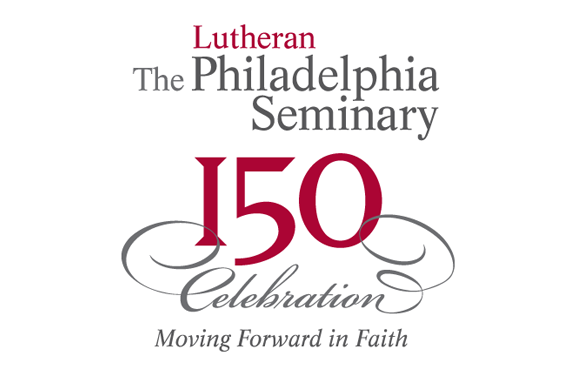 Thanks to the painstaking research of a 2001 graduate of The Lutheran Theological Seminary at Philadelphia (LTSP), the remarkable story of one of LTSP’s earliest students, the Rev. Stephen Albion Repass, has come to light anew. The more recent graduate, the Rev. Nelson Quiñones, now pastor of St. John’s Lutheran Church in Fogelsville, Pennsylvania, Lehigh County, began to learn the story of Repass while serving as assistant pastor for nine years at St. John Lutheran Church in Allentown, Quiñones’s first call. “I was getting to know members of the congregation when I was first called,” Quiñones remembered. “I visited an older couple. The wife told me her grandfather, Pastor Repass, was the fourth senior pastor for the congregation I was serving. She had heard I was doing research on the history of the congregation for its 150th anniversary and wanted me to know more about him.” The granddaughter told Quiñones that Repass had been a Second Lieutenant for the Confederate States in America, and she eventually entrusted to Quiñones a saber and scabbard from the early 1800s that had been passed down through the family. She also gave the congregation buttons from her grandfather’s Civil War uniform. All are on display at the Allentown congregation he once served. How does a military officer for the Confederacy end up studying for ordination at a Philadelphia seminary, in the north, eventually finishing his career as a mission-minded pastor in Allentown, Pennsylvania? A look at the unique journey of Repass seems timely now as the nation observes this month the 150th anniversary of a peace accord signed by Generals Ulysses S. Grant and Robert E. Lee at Appomattox, Virginia, ending the Civil War April 9, 1865. Quiñones, an art and history enthusiast, did not need much encouragement to begin digging into Repass’s life journey. Born in Virginia in 1836, Repass began studying for a degree at Roanoke College. “While at Roanoke he enlisted in the Confederate Army,” Quiñones related. “During the Battle of Second Manassas (also known as the Second Battle of Bull Run August 28-30, 1862) Repass was wounded. After recovering for a time, he returned to the war, commanding a company in (Gen. George) Pickett’s Division at Gettysburg during July 3, 1863.” Repass survived the bloody battle but was taken prisoner, according to a report of Repass’s death in 1906 that ran in The Lutheran, a weekly newspaper published under the authority of the General Council of The Evangelical Lutheran Church of North America and predecessor publication to the current magazine with the same title published by the Evangelical Lutheran Church in America. (The paper’s editor-in-chief at the time was the Rev. Dr. G.F. Krotel, who served at one time on the LTSP faculty.) Quiñones said he had found an account that during the Gettysburg Battle, Repass had seen a vision that he said foretold the end of the Confederacy. Repass spent 21 months as a prisoner on Johnson’s Island, Lake Erie, before his release at the end of the war, according to The Lutheran. “He then went home to Roanoke and finished his studies,” Quiñones related. “He was the school’s only graduate in 1866.” With schools so severely damaged in the south due to war circumstances, Repass, who wanted to become a pastor, was urged at Roanoke to head north to study at LTSP, which had been founded just two years earlier. Repass earned his seminary degree, graduating in 1869. He subsequently held pastorates in Salem, Virginia, at the College Church (1869-72) and in Staunton, Virginia, (1884-85), and while at Salem also organized St. Mark Lutheran Church in Roanoke and oversaw the building of its first church. “After the war Repass was very outspoken against slavery,” Quiñones reported. “He considered slavery to be a hindrance to the mission of the Christian Church.” He called for more humane treatment of Blacks in the south, whom he said had been badly mistreated. From 1871 to 1872 Repass was president of the General Synod South, and according to Quiñones, Repass is reported to have urged that disagreements between synods be ended, calling for greater cooperation between such jurisdictions. From 1873 to 1884 Repass was president of the Theological Seminary of the General Synod South, located at Salem, Virginia. It was then that St. John’s Church in Allentown entered the picture. The congregation was seeking a new pastor and, according to Quiñones, teachers at LTSP suggested, “We have a good pastor for you,” recommending Repass. The Virginian accepted the call. “When he arrived in Allentown, Dr. Repass found the congregation’s building had been destroyed by fire,” Quiñones related. Just as he had done in a previous call, Repass orchestrated the building of a new church. “He was much loved at St. John’s and served the church from 1885 to 1906, the year of his death,” Quiñones said. Quiñones indicated that it appears Repass underwent a kind of transformation after the bitter Civil War. He oversaw the dedication of a Soldiers and Sailors Monument in center city Allentown that paid tribute to both Confederate and Union combatants. In his research for a paper he is still crafting for an advanced level STM degree from LTSP, Quiñones developed a special affection for the memory of Repass “because he was very mission minded,” Quiñones said. Repass, according to Quiñones, greatly encouraged the women of the church who were supporting mission efforts to both India and Puerto Rico, where Quiñones lived until he was 13. “His concern for Puerto Rico caused me to respect him,” Quiñones said. While in Allentown, Repass also served as Professor of Christian Evidences at Muhlenberg College. As he described his research on Repass, Quiñones also related his own spiritual journey. He was originally a candidate for ministry with the United Methodist Church and served for a time as a Chaplain in the U.S. Navy. Later, he attended United Wesleyan Bible College in Allentown, where he has lived most of his life, studied part-time at Moravian Seminary in Bethlehem, Pennsylvania, while working as a counselor to inmates at Lehigh County Prison, and then determined he wanted to attend seminary full time. He started exploring other seminaries in the region and encountered the Rev. George Keck, then director of admissions at LTSP, and the Rev. Cheryl Meinschein, an LTSP alumna. Quiñones visited the seminary’s campus in Northwest Philadelphia and discovered what he saw as “open-minded, diverse views” and backgrounds presented by LTSP faculty members J. Paul Rajashekar, Margaret Krych, John Hoffmeyer, and Nelson Rivera. “I became super-excited about going to seminary in Mt. Airy,” he said. He fell in love with the seminary’s rich historic resources in the Krauth Memorial Library and feels his classroom experiences did much “to deepen me as a religious thinker.” He said he believes the seminary helped to broaden the way he views the church’s place in a changing world. “In a time where some may see the church as in decline,” he said, “I think it is important for us to focus on the ministry of the Gospel. Proclaiming the Gospel is the future of ministry. In 2015 we still find youth and younger adults, even older people, who have not heard the stories of the Bible. Our central ministry is proclaiming the Gospel. Even if our church is a smaller church we want the church to be a space where people may learn the creeds and the commandments. The church continues to be a space where God is allowing us to proclaim the Savior and what we believe while we care for the poor and those in need both in the church and beyond. The church may not always be the same, but it will continue. After serving at the Allentown congregation nine years, Quiñones moved on to Christ Lutheran Church in Easton, Pennsylvania, for five years. He has served the Fogelsville church the past two years.